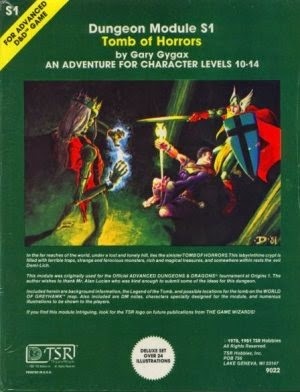 Want to run Tomb of Horrors with Swords and Wizardry? In honor of Swords and Wizard appreciation day, I created a set of pre-generated characters you can use to run it! Can you survive Gary's deadliest dungeon? I also created a set for Ghost Tower of Inverness. Grab those while you're here! Check out all the other great stuff going on for Swords and Wizardry Day! 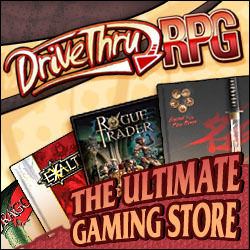 In celebration of International Tabletop Day, I'm participating in the board game review blog hop sponsored by +Tim Snider and the Savage Afterworld blog. My wife and I often play boardgames after we get the kiddo to bed in the evening. One of our favorites is Thunderstone. Thunderstone belongs to the family of deck-building games. In a deck building game each player starts off with a small number of cards. Cards are used both as currency to buy other cards and to complete the goals of the game. Dominion is probably the best known game of this genre. warriors, weapons, and torches. From there, players must build up their deck in order to challenge the monsters in the dungeon. The winner is the player who can slay not only the most monsters, but the biggest and baddest ones. Each turn, players draw a hand of cards from their deck and decide between 4 options: Visit the Town, Enter the Dungeon, Retreat, or Prepare. Retreating removes a card from your deck, while Preparing allows stacking cards from your hand on top of the deck. The action takes place in the Town and Dungeon. In town, cards in your hand are worth gold. Gold is used to purchase new heroes, equipment, weapons, spell and hireling cards. These cards are then shuffled into your deck. This is how your deck gets "built." Once you feel ready, head into the dungeon, which is a single row of 3 monster cards. The left most card is the upper level of the dungeon with each subsequent card being one level deeper. To defeat monsters you must play enough cards to overcome the monsters strength. The Dungeon is dark however, and you must have enough light to see. The deeper in the dungeon you go the darker it is. As monsters are defeated, their cards are shuffled into your deck. The monster cards can be played for currency in town and some monsters give a bonus if played in the dungeon. This means as you kill monsters your deck beings to grow. Soon your finely tuned monster slaying deck isn't quite as effective and it's back to town for more gear. As monsters are slain, you also earn experience tokens. These tokens are spent in town to level up your heroes. Higher level heroes have better abilities and max level heroes are worth bonus points. Even the starting peons can be promoted to a hero. Play continues until the Thunderstone bearer appears in the dungeon. Once the bearer is revealed, it moves toward level 1 of the dungeon. 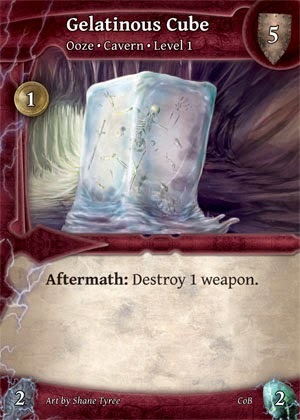 The game is over when one player either defeats the Thunderstone bearer or it reaches level one. At the end of the game the player with the most total points is the winner. I highly recommend Thunderstone. 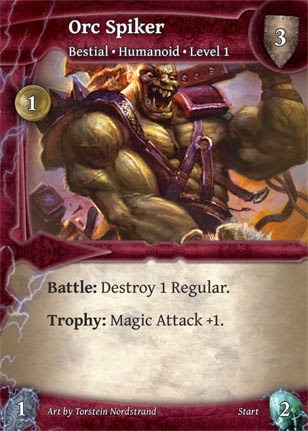 My wife and I were playing Dominion almost every night until we discovered Thunderstone. We haven't played Dominion since. Thunder has a great deal of re-playability. The monsters, heroes, and the gear available are randomly determined at the start, making each game different. 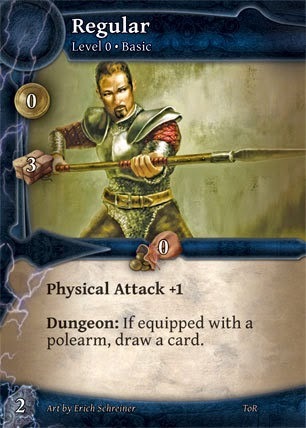 I also like the "old school" feel of Thunderstone. Many of the cards are based on classic D&D monsters. There are two versions of Thunderstone. The original Thunderstone set, and the newer Thunderstone Advance. Thunderstone Advance clarifies and streamlines the game. The cards from both sets are compatible. 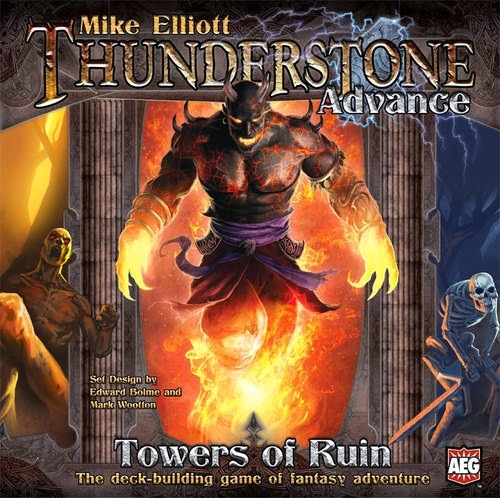 If you are looking to get into Thunderstone, I recommend the Advance set. 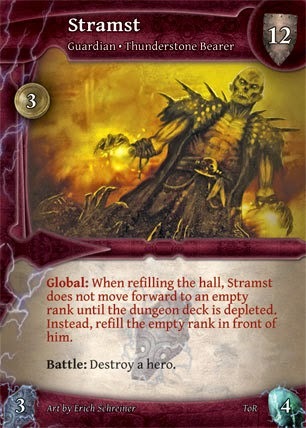 AEG has even republished all the original Thunderstone cards for Thunderstone Advance in the "Worlds Collide" set. 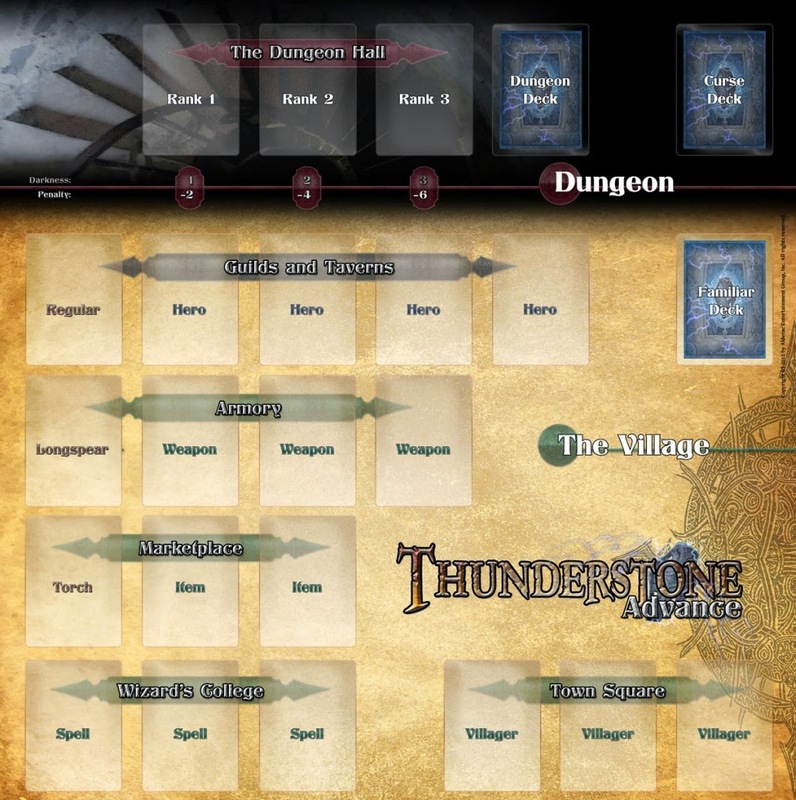 If you are intrigued by Thunderstone, you can check it out in more detail by downloading the rulebook here. Check out these other great reviews in the bloghop as well!